 Hydricity Systems Australia | Consulting to Australia's Energy Industry. Hydricity Systems is focused on the benefits of integrating the production of clean power and clean fuel, specifically hydrogen and electricity (hydricity), where hydrogen produced from clean power can in turn be used to produce drop-in fuels that work with current mobile technologies. 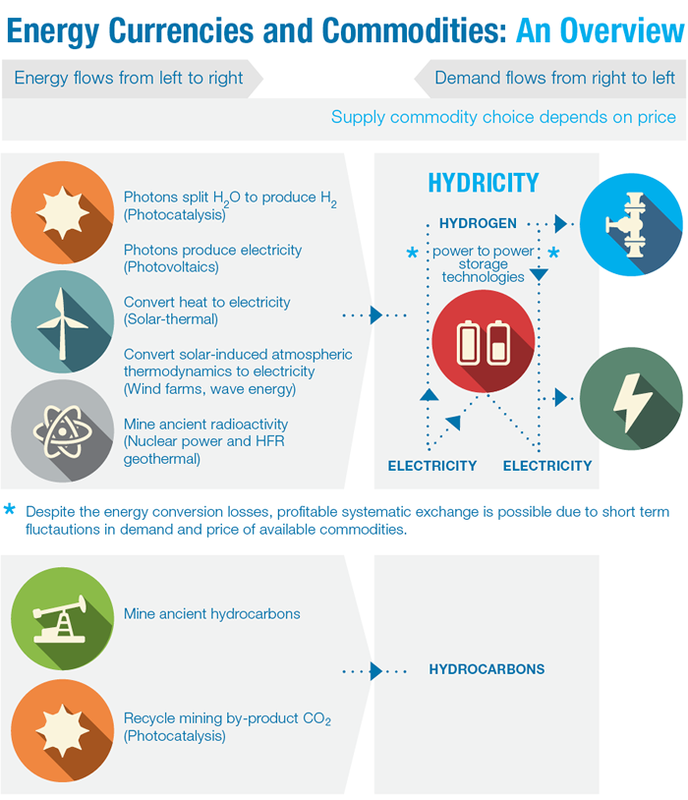 Hydricity  refers to the dual and complementary use of hydrogen and electricity as energy conversion currencies that link energy sources with energy-consuming services. Sources include solar, wind, geothermal, and hydro. Services include lighting, water desalination and distribution, machinery for manufacturing, information technology infrastructure, and transport. Hydrogen and electricity are "dual currencies" because energy conversion can be cost effective in both directions: Electricity can be used to produce hydrogen on demand. Hydrogen can be used to generate electricity on demand. But like foreign monetary currency exchanges, there are marginal losses associated with each conversion. As a result, converting back and forth is not cost effective unless there is an intermediate change in currency value during the period between conversions. Consider carbon emissions trading schemes (buying permission to pollute at a price that may or may not accurately reflect the true environmental cost of the pollution) and/or carbon taxes (which might eventually result in polluters paying the true cost of the fuel, including both production and environmental costs). Such schemes will finally put a price on the CO2 byproduct resulting from burning hydrocarbons. Carbon capture and sequestration (CCS) might finally formalize the cost of having to dump this unwanted byproduct underground. (This is what most humans did with the majority of their garbage until recently. South Australia is now a world leader in recycling, with about 75% of what used to be dumped into landfills, now being recycled in one form or another.) CCS might eventually play a role in reducing atmospheric dumping of byproducts from generating electricity sourced from hydrocarbons. But its important to emphasize that CCS will never be cost-effectively and conveniently usable for capturing and sequestering the emissions from the tailpipes of hydrocarbon-powered planes, trains, and automobiles. Therefore to justify our ongoing indulgence in hydrocarbon-powered transport we must invoke the use of carbon offsets. But we arguably need to use all the offsets available to repairing the damage that humans have already done to the atmospheric gas balance, and even that is not currently enough. In contrast, hydricity can supply fuel or electricity for all energy-consuming services -- including transport, with no carbon emissions dumped to the atmosphere and no dumping of unwanted byproducts in underground waste disposal systems. Each of solar, wind, geothermal, and hydro, and nuclear power involve operationally zero CO2 byproduct emission costs. Each can in turn be used to generate hydrogen. Zero-carbon sourced hydrogen also includes photocatalytic hydrogen production, which will be scalable to very high production rates if current research in this area becomes commercially viable. Clearly zero-carbon transport systems powered by hydrogen have huge potential in the long term – wherever connection to the power grid is not practical and whenever batteries cannot store enough energy to travel the required distance. In summary, hydricity offers the ultimate clean transport-fuel-and-electricity recycling system: power to fuel by splitting water into hydrogen and oxygen, venting the oxygen into the atmosphere. Then water is re-created using the stored hydrogen and atmospheric oxygen when producing electricity. Hydricity offers the ultimate clean transport-fuel-and-electricity recycling system: power to fuel by splitting water into hydrogen and oxygen, venting the oxygen into the atmosphere. Then water is re-created using the stored hydrogen and atmospheric oxygen when producing electricity. Hydricity Systems Australia is a division of Dataspace Insight Pty Ltd, which is a 100% Australian owned and controlled corporation. Our head office is located in Adelaide, South Australia. © 2016 Hydricity Systems Australia All Rights Reserved.